Gauselmann Group, a German gambling supplier and slots manufacturer is rapidly expanding its presence in the UK market. So far, the company has gained strong influence in the continental parts of Europe. Yet, the Albion has been out of its reach for now. Recently, Gauselmann Group acquired Betcom limited, a UK software company based in Birmingham. Gauselmann Group believes that this acquisition will help it to extend its influence in the United Kingdom and secure its position in the European gambling market. Gauslemann Group management has already started to integrate Betcom Limited services and content into its operations. Currently, the German manufacturer is working on the creation of special multi-content gambling channel for its customers in the UK. The channel will be customized towards the new market of consumers, so the creation of such platform will probably take some time. Yet, with Betcom Limited development capabilities, it may happen sooner than we expect. Industry influencers have commented on the acquisition in a highly positive manner. According to Mareike Kording Public Relations office, Gauselmann acquisition of Betcom is a logical step, which will open new opportunities for both companies. 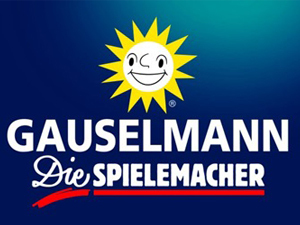 Gauselmann management believes that Betcom creative skills and their own corporate portfolio can strengthen the development of Gauselmann product, enhance Category C games developing experience and ultimately play a crucial part in extending their influence to AGC and even bingo markets. All of this will become possible due to acquiring Betcom expertise with Category C games – and that is something Betcom truly shines in. In addition, Kording believes that this acquisition will provide helpful support to the already existing Gauselmann Group subsidiaries, namely – to Blueprint Gaming. Betcom developing experience and their profound expertise in Category C gaming development will offer Blueprint Gaming new opportunities, extending their potential and giving new life to the old projects. Apart from increasing Blueprint Gaming development capabilities and breathing new life into the previous work, Betcom Limited has the potential of offering highly important synergy strategies that can take Category C games development to a totally new level. All in all, Gauselmann’s acquisition of Betcom Limited offers new possibilities to expanding its presence within the European Union.